Golf, like you've never seen it before. GolfSight is available NOW for Glass Explorers everywhere. Distances to the front, center and back of every green. Updating immediately as you move around the course. 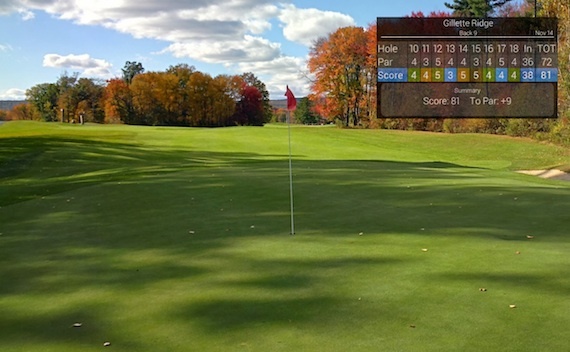 GolfSight uses the MyGlass app on your phone/tablet to get GPS signals and great images. Keep track of your score as you play. Just tap and swipe on Glass to set your score for the hole. After your round, take a picture with Glass and make a vignette to share with your friends. We have thousands of courses world wide, mapped by real golfers. Get in touch if you can't find your course and we will help out. 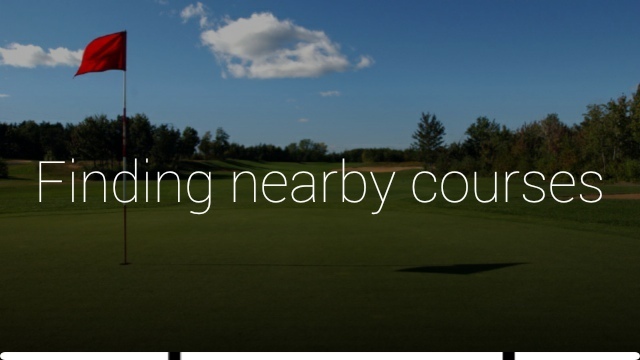 GolfSight will find the courses mapped near you, but you can check our parent site for availability. You can add (or update) courses there too. Many holes have bunkers, water hazards, trees and target points mapped. You can edit courses on www.skydroid.net to add or update the features. GolfSight can read distances aloud to you, so you feel like a real caddy is standing over your shoulder. 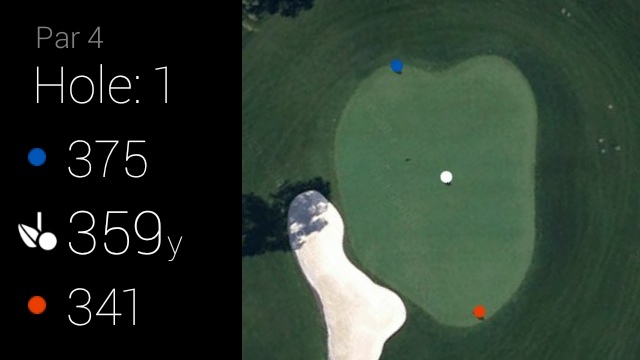 GolfSight by SkyDroid uses the MyGlass app on your phone to get real time GPS distances. Images will be loaded through either your phone's data connection or wi-fi when available, and cached for later use. Interested in becoming a Glass Explorer? Learn more here.